One thing dog owners can count on every spring is a home covered in dog hair. As your pup trades their thicker, winter coat for their summer fur, you’ll start to find that tumbleweeds of hair drift through the house, your furniture becomes the color of dog, and your clothes look more and more like a Chewbacca costume. 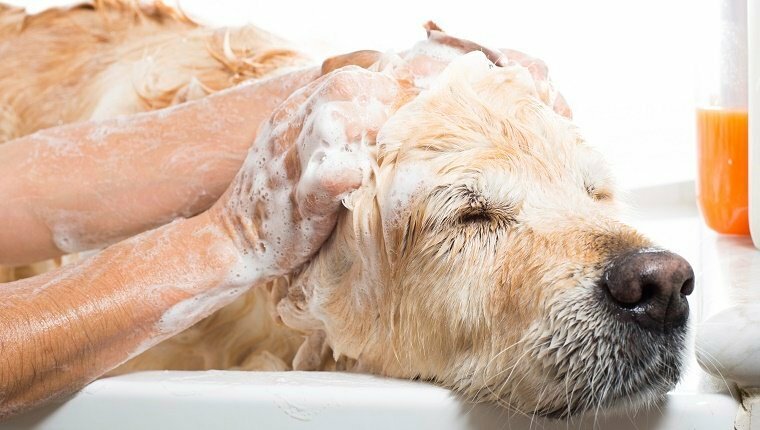 There’s a reason your dog sheds more this time of year, and it’s healthy. While you may not be able to stop it, there are some things you can do to deal with the mess. 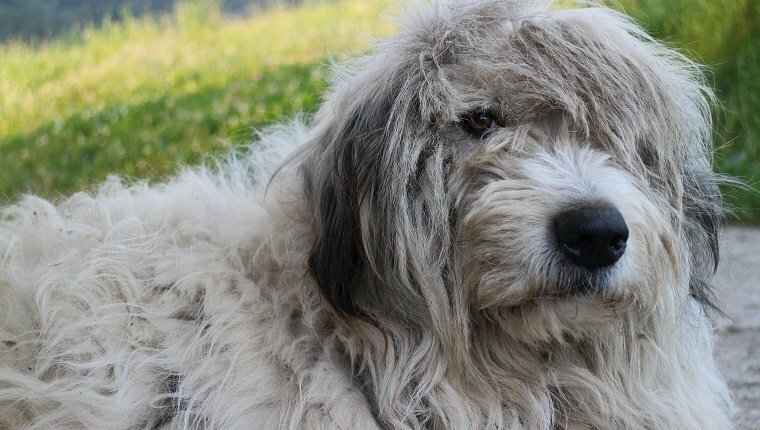 Dogs have a natural circadian rhythm that tells their body when it’s time to lose the thick fur and start growing the summer coat. It’s not just a reaction to temperature differences in the seasons, but the amount of daylight in the spring and summer months that triggers the shedding. 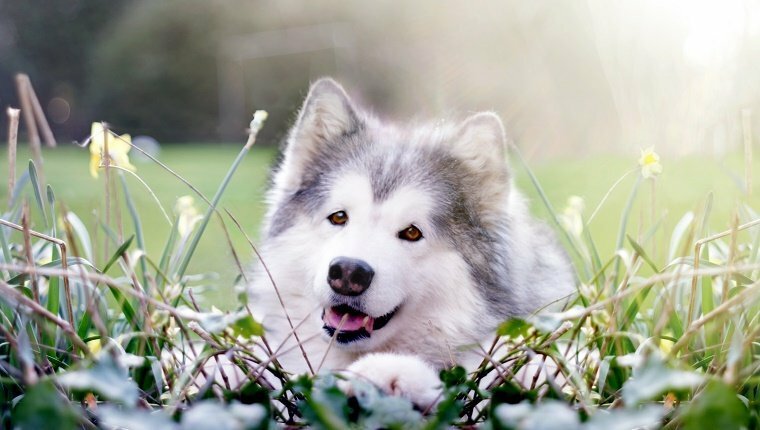 Most dogs shed throughout the year, but it’s especially noticeable in spring. If you are worried about excessive shedding or you believe that something may be wrong, there are some signs you can look out for. 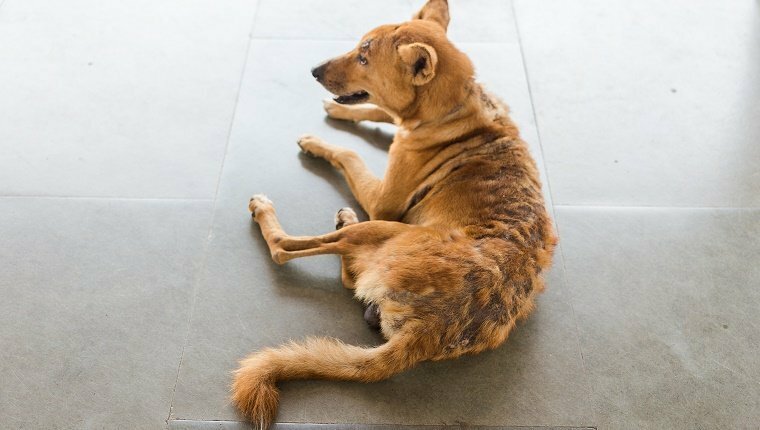 If the shedding is much greater or much less than previous years, you notice bald patches in your dog’s coat, you see open sores or skin irritation, or you notice licking or scratching, there may be some medical issues to address. The excess or lack of shedding could be caused by poor diet, parasites, infections, allergies, reaction to medication, sunburn, contact with dangerous substances, immune disease, cancer, or problems with the liver, kidneys, thyroid, or adrenal gland among other things. All of this can be checked by your veterinarian, so make an appointment if you notice unusual shedding patterns. Can You Stop The Shedding? You may want to know ways of stopping your dog from shedding, but you can’t fight nature. Your dog will shed, and you shouldn’t want to stop it, as it is a healthy process. Your dog needs to shed. The good news is that there are some ways to reduce the amount of hair that starts floating around your home this time of year, and there are some ways to speed the process along so that the excess fur can be disposed of more quickly. Here are some tips for keeping your home as mess free as possible during the spring shed. When it comes to shedding, breed matters. Double coated dogs have a course outer coat that covers a more dense, wool-like undercoat, and they shed the most. It is especially important to brush these dogs, as excess fur can get caught in the under coat and form knots and mats. These lead to hair lumps that rub against the skin and can cause abrasions, infections, or hot spots. However, no matter what kind of coat your dog has, brushing is still important. It helps keep the fur and skin in good shape. 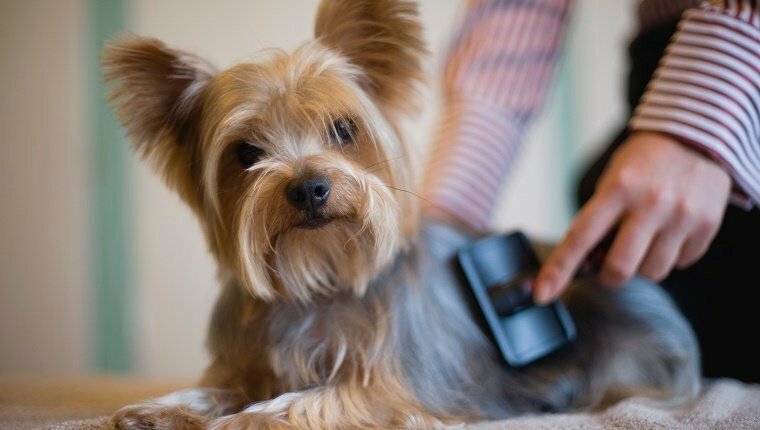 Brushing not only helps your dog stay healthy by removing dangerous mats and knots, it also traps a lot of the hair that would be spreading around your home. It’s one of the best ways to keep your house or apartment clean, and most dogs enjoy the extra attention. Consider it a bonding experience as much as an effort to wage war on furballs. 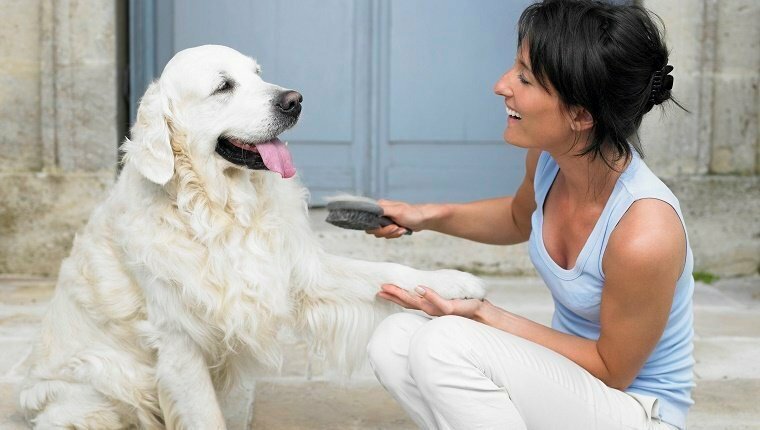 With all that in mind, your next step should be to choose an appropriate brush for your dog’s individual needs. You’ll need to use the right tools for your specific dog. 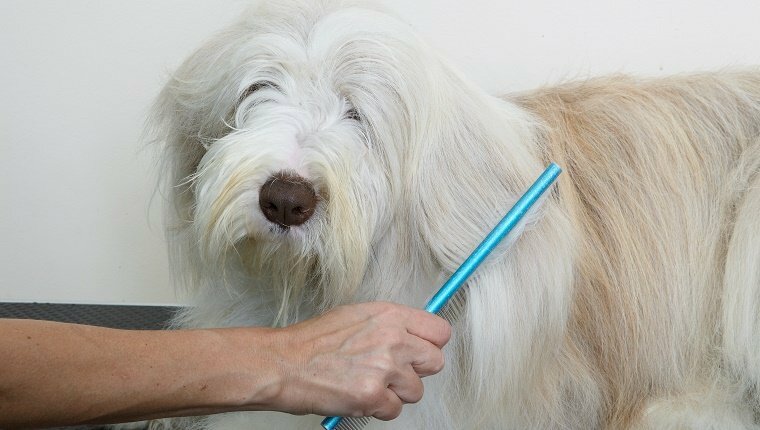 Long-haired dogs can benefit from a shedding rake or comb. This will help remove the dense undercoat without having a big effect on the outer coat. Shedding rakes are long and stiff and allow you to get down near your dog’s skin. You’ll want one with two rows of teeth to be the most effective. Short-haired dogs will benefit from a stiff bristle brush followed by a slicker brush to remove their excess hair. The bristle brush dislodges the fur, and the slicker brush collects it from the coat. Some people have used de-shedding tools to remove hair with varied success. 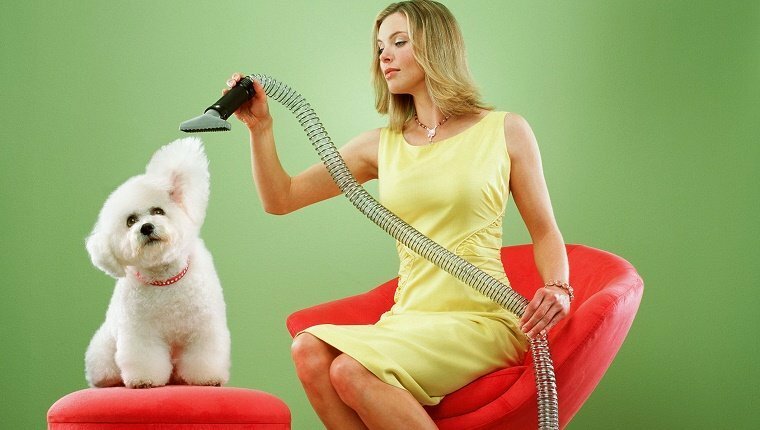 Some act as vacuums and take in the excess hair. These tools are generally no more effective than brushes, and they can cost significantly more. It really comes down to personal preference. Some dog owners swear by supplements of Omega 3 and 6 fatty acids in their pups’ diet. These do not prevent shedding, but they can make it go more smoothly by keeping the coat healthy. A healthy coat means fewer mats and knots, and the hair comes out more easily with a good brushing. Shampoos and conditioners specifically formulated to aid the shedding process can also improve the health of your dog’s coat and help fur get dislodged more easily with a brushing. Again, these products do not stop shedding, and you should not want to stop your dog from shedding as it is important to your dog’s health. Speaking of shampoos and conditioners, a warm bath with these products can help speed up the shedding and dislodge the excess hair so you can brush it out before it spreads all over the place. 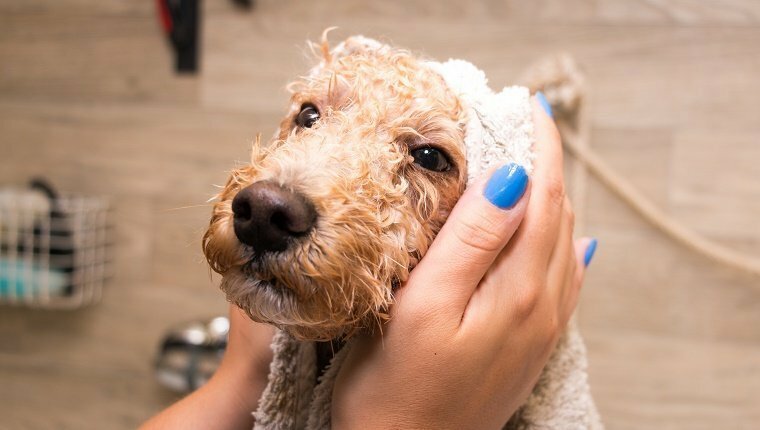 Do not bathe your dog excessively, as this can lead to skin irritation or a dry, brittle coat. 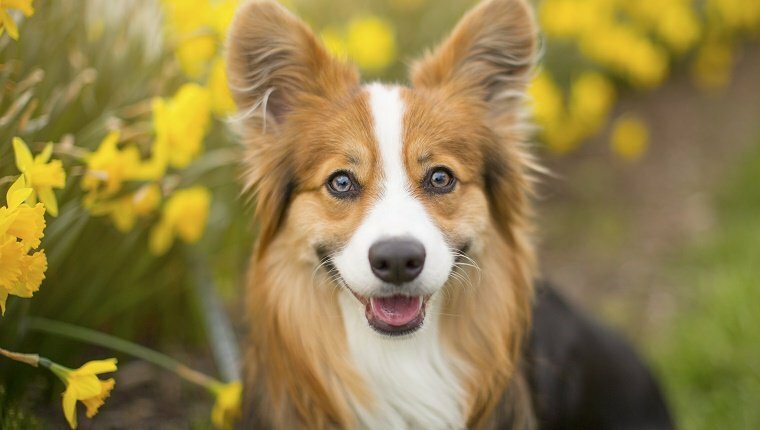 For maximum effectiveness, brush your dog before the bath to get rid of any dead hair left on their coat, then brush them dry after the bath, as well. Make sure you check the ears and eyes to see if any stray hairs are caught there, and remove them. Keep a few by the door, and have a couple in the bathroom so guests can dispose of the fur that accumulates on them when they come to visit. 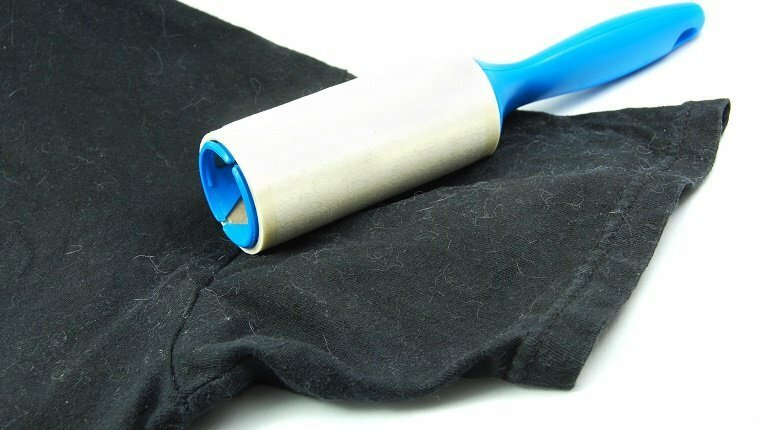 Lint rollers will save you some embarrassment when you leave the house, and your friends and coworkers who have allergies will thank you by not sneezing on you. Even if you’re diligent about brushing and keeping your dog’s coat healthy, you’re still probably going to have some fur flying. Running an air cleaner can help, but you need to make sure you’re replacing your filters regularly, especially this time of year. 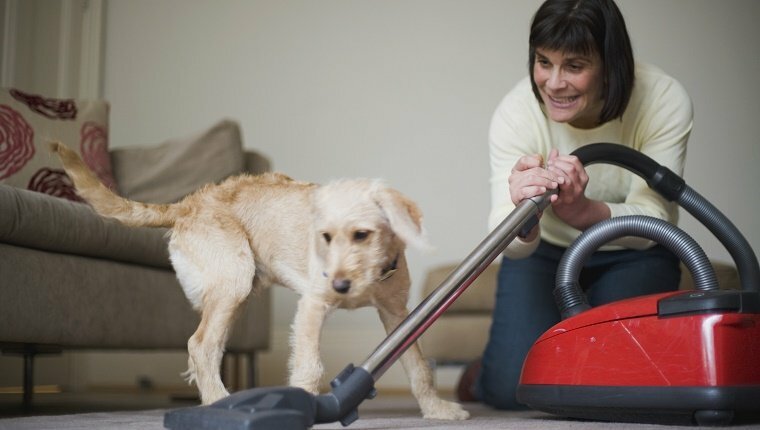 When it comes to cleaning carpets, you may want to use a vacuum, but many dog owners have had luck using a rubber broom with squeegee bristles. This helps to clump all of the hair together in a ball and seems to work better than just vacuuming alone. 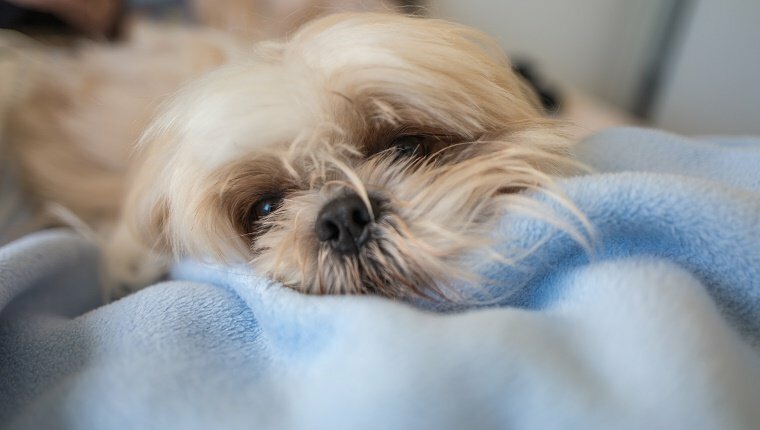 If your dog has a favorite spot on the furniture, an easily washable blanket or furniture cover is a must. Place it where your dog likes to rest and you’ll be able to spare your furniture from at least some of the hair storm. Anything that can easily be thrown in the laundry or taken outside to shake out or will work fine. If your dog likes to join you in your bed from time to time, consider getting a duvet cover that you can remove for a wash.